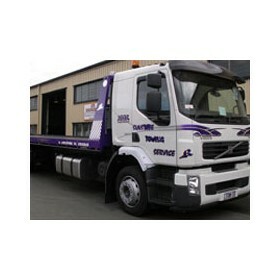 ATB Engineering are design and manufacturing specialists of towing and recovery equipment. 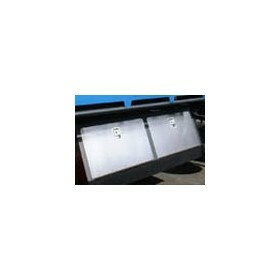 With Our proven reliability and over 20 years’ experience with hundreds of ATB bodies, It's easy to see why our designs are setting the industry standard. Many of our pioneering designs have found their way on competitor's bodies all across the country. Our MEGATILT tilt-slide trailers have become the often copied industry standard for drop deck tilt-slide trailers and are the real workhorses for the trade tow industry such as 20 & 40 foot shipping container relocation and heavy machinery to 25 tonne and low clearance bus relocations. 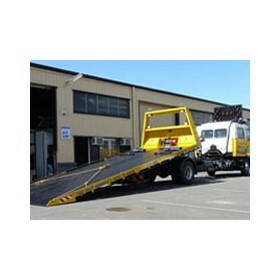 ATB is one of Australia's leading Tow truck Manufacturing companies. Our reputation is based on providing our clients with the highest standards of manufacture, products and service. Our clients turn to us because they trust our products when it comes to running their business. 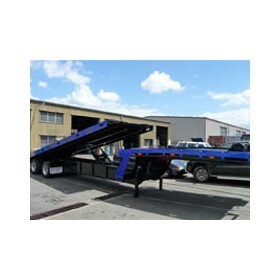 We have been manufacturing Australia's best tilt slide and MegaTilt® Trailer's for over 15 years. All our products are built from the highest quality materials available, to ensure your investment will remain dependable well in the future. 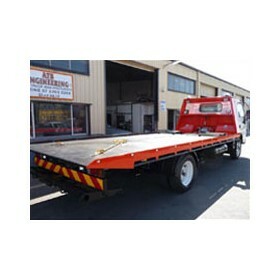 ATB has supplied many hundreds of vehicles to large companies and individuals around Australia in past years with companies such as Ready Towing Group (170+ trucks), RACQ, Mack Trucks, Brisbane City Council, Nationwide Towing, Barnes Auto, Coates Hire, G James Glass, Graincorp, BMA Coal Blackwater, Truckworks, Townsville Towing, Major Drilling, Tully Sugar Limited, Compressor Hire Service.